We are suppliers and installers of Premium Grade Energy Efficient Home Insulation. 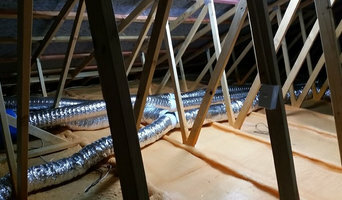 If you are looking for an insulation product that never moves or sags, has the highest thermal rating, is guaranteed to perform at optimum level for a lifetime, AND is made from recycled materials, then look no further The thermal and energy efficient properties of this insulation are far superior to any other currently available. 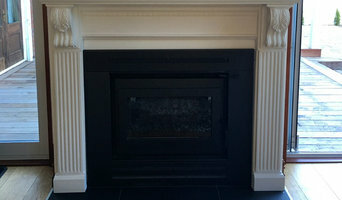 NZ Foam provides the Highest Rated Home Insulation in Christchurch, and New Zealand. Providing the highest thermal R-values currently available. Ceiling Insulation Wall Insulation Underfloor Insulation A superior grade moisture and damp proof barrier for underfloor, fast and easy to install, for warm dry, and healthier homes. Our premium insulation means that your building is heated much faster and the temperature is maintained for far longer than other methods of insulation. Contact Us to arrange an no obligation quote, and find out about the many advantages of this great product. "We are raising the standard of Home Insulation in New Zealand. With well over 30 years experience in the construction industry, our team are very knowledgeable when it comes to providing only the very best products for your new home or Commercial Project. This is the preferred Insulation internationally, and is now becoming popular in New Zealand! The built environment can have a powerful influence on quality of life and we believe we can play a part in improving that in NZ through adoption of better building materials and practices. We see a time where sticks and fluff appear only in the history books and where high performance both structurally and thermally (by today’s standards) is normal practice. At PlasterArt we offer a full design and manufacturing service tailored to meet our clients specific needs. We are a specialist company providing a bespoke service for the creation of contemporary plaster elements and the reproduction of ornate interior and exterior features utilising Fibrous Plaster and GRC (Glass Reinforced Cement). Whether you are planning a major new housing, renovation or any kind of repair. Ultimate Homes is an award-winning Christchurch building company specializing in building new residential homes, renovations and extensions. our team of experts is ready to accept every kind of challenge in the field of architectural housing and renovation work. Having dealt with intricacies of the plastic materials, we have prepared ourselves for plastic injection moulding that is widespread across the cities. We set out to work for the satisfaction of the customers and give them the goal-oriented results. Our plastic services encompass the work of all domains and meet their needs accordingly. Every big industry requires heavily the work of plastic for which we extensively provide platform to stand by them. Southern Demolition is Christchurch based company. We are leading supplier of demolition services and rejuvenated timber products in the city and throughout the South Island, NZ. We are 20 years old in this business. Our experts have handled wide range of contracts throughout New Zealand including demolition projects. We are capable of delivering safe, efficient and cost-effective demolition solutions for almost for every requirement. 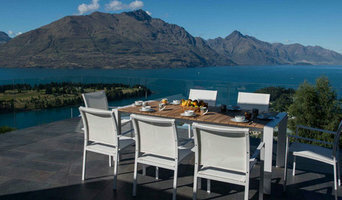 In this category you’ll find companies that source and provide everything you need to build your Christchurch, Canterbury, New Zealand home from the floor up, from timber flooring and synthetic grass to plumbing supplies and door hardware. Some companies will stock all kinds of hardware, while others will have areas of expertise. Raw materials and how they’re applied – including everything from metal roofing and timber panelling, to board-formed concrete and porcelain tiles – can provide infinite design possibilities. If you’re working with a Christchurch, Canterbury, New Zealand builder, architect or designer, they will likely have favourite building materials they like to work with, as well as favourite suppliers. Ask them for examples of how the material has been used in past projects, and seek out alternatives for comparisons. 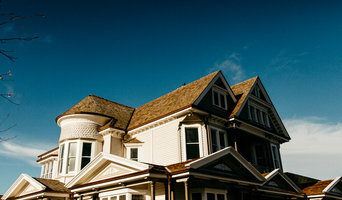 Find building supplies in Christchurch, Canterbury, New Zealand on Houzz. Scroll through this page to find companies that source and deliver building supplies in your area. You can browse their portfolio, read reviews and see how other tradesmen and homeowners rate their customer service, expertise and product.